This is a question we hear a lot about people moving to the Midcoast Maine area from out-of-state. However, you don’t have to travel far in our beautiful state to find a historic building, museum, or park. If you’ve been looking for Maine real estate, Midcoast Maine is a great location to be. While the towns and communities that make up the Midcoast offer plenty to do and see, there are also some amazing sights just outside of our region. Keep reading to learn more and make sure to get in touch with The Morton Real Estate Group at William Raveis if you are looking for a beautiful piece of Midcoast Maine real estate to call your own. A two-and-a-half hour drive from Brunswick (where our real estate agency is located) is Acadia National Park. This is a must-see for any New England residents. Located mostly on Mount Desert Island, you can drive or hike through the park and observe breathtaking rocky coastlines, mountains, ponds, and all of the native wildlife you could imagine including foxes, moose, birds, sea life, and amphibians. Located just 30 minutes from Brunswick is Portland, Maine’s bustling and most populous city with a humble 67,000 residents. There is so much to do in Portland, but one must-see feature is the Portland Observatory, first opened in 1807. Once serving as a major communication tower that kept the port running smoothly, the 86-foot tall red brick tower it has fallen into disrepair and been restored several times. Now it is open to the public as a major tourist spot for people looking to get 360-degree views of the city. The king of horror fiction and the man responsible for works like Carrie, The Shining, and It, has called Maine his home for most of his life. He now resides in Bangor, Maine, just an hour-and-a-half drive from Brunswick. His home, which is not open to the public but is a popular tourist attraction, is a red brick mansion with white trim. While the house itself looks similar to the other Maine real estate on the wealthy street, the main attraction is the custom wrought-iron fence sculpted to look like a spider’s web. 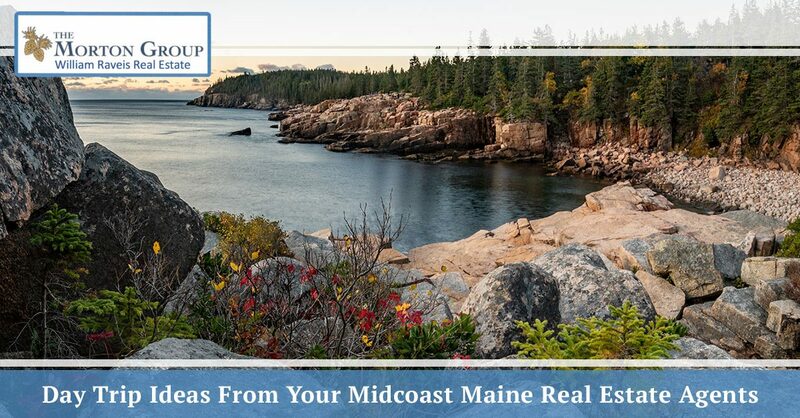 As your local realtors, we love sharing our knowledge of Midcoast Maine and the surrounding areas. Keep an eye on our Maine real estate blog for more fun things to do in the area! If you are selling your Midcoast Maine home or looking for houses for sale in Maine, get in touch with the Morton Real Estate Group at William Raveis today!